colleges – These Vagabond Shoes. For many visitors, the historic university city of Cambridge is almost the definition of Englishness and academia (well, unless you have any kind of connection to “the Other Place*”). Imagine lounging around on college lawns; punting, poetry, and jugs of Pimms; cycling down cobbled streets in a cap and gown; late-night discussions on existentialist philosophy…If only it was possible to become intellectual by osmosis. King’s College Gatehouse, the boundary between town and gown. But the city, through the colleges and museums, inspired many residents to strike out for new horizons in search of adventure and new discoveries. 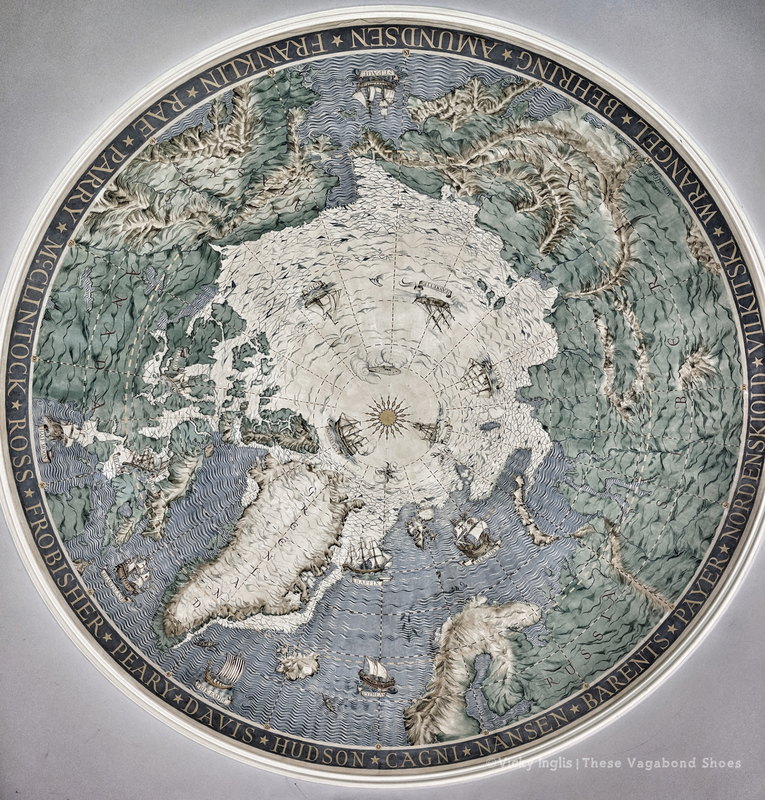 Cambridge also received specimens, artefacts, treasures from around the globe, and journals filled with ideas that continue to inform and inspire visitors to look further afield, and make plans for their own expeditions. So to help you get your bearings and set off on a successful expedition, this is my vagabond guide to spending time in Cambridge like a true old-school explorer. If the sun is shining, there’s no better way to get an introduction to the historic heart of the city than from a punt gliding down the River Cam. These flat-bottom boats are the more accessible way to get out on the water (unless you’ve got great potential as a varsity rower), and propelled and directed with a long pole that pushes against the riverbed. It requires a bit of skill, and a lot of practice, to make it look as effortless as river guides manage to. The Backs, the landscaped lawns of several colleges that line the riverbank, is the most popular destination for punters looking to soak up the scenery. You pass landmarks like the Bridge of Sighs at St John’s College, reputedly Queen Victoria’s favourite spot in the city, and the Mathematical Bridge at Queen’s College, a wooden bridge which despite appearing to describe an arch is constructed entirely of straight timbers. Float downstream and make the plans for your next expedition. If you fancy the challenge of guiding your own punt, and have the balance to back up the romantic idea, the cost of hiring one is between £25 and £30 per hour, for up to six people (make sure you punt Cambridge style rather than Oxford style) if you don’t want to raise eyebrows and elicit a barely audible tut from observers). Or you can sit back and let someone else take the strain on a guided tour. It takes around 45 minutes and is usually between £15 and £20 per person, though you can often make a saving with advanced booking online. Many guides are students, and give an insight into the day-to-day life of the university and studying in such a historic setting. If you’re tight on time or budget, a walk on the banks of the Cam and through the Backs is still recommended for the views of the colleges; honey-coloured stone bridges, outstanding classical architecture, weeping willow trees, carpets of spring blossoms, and students lounging around on the lawns (or sheltering from a wet and windy winter day). The University, founded in 1209, is the second-oldest (after Oxford) in the English-speaking world, fourth-oldest worldwide, and can boast of a plethora of notable alumni, including many names from the realm of travel and exploration: George Mallory, Vivian Fuchs, Thomas Cavendish, Agnes and Margaret Smith, and Robert Macfarlane, to name just a few . It’s probably illegal to visit Cambridge as a tourist and not take in at least one of the university colleges on a tour, but with 31 constituent colleges I’d say the risk of historic building fatigue is real. Though each has their own character, I’d go with either King’s College or Trinity College (or both if you’re inclined). Check opening times in advance, as they can be closed to the public for reading weeks and exams. The Gibbs’ building and front lawn at King’s College. Don’t dare walk on the grass until you’re appointed a Fellow of the College. Or you’re a duck. In a city of outstanding historic buildings, King’s College Chapel (£9 entry for adults, Cambridge students and alumni can bring in a couple of guests for free) stands out as the real highlight. The building is just spectacular, one of the finest examples of gothic architecture in the country, with a soaring fan-vaulted ceiling and magnificent stained glass windows. They were spared by Oliver Cromwell in the Civil War, and packed up into boxes during the Second World War for safety, though Cambridge (and Oxford) were said to have been spared the worst of bombing attacks in return for similar leniency toward the German university city of Heidelberg. The magnificent stained-glass West Window of King’s College Chapel, and the largest fan-vaulted ceiling in the world. The roof of King’s College Chapel is said to rate very highly in The Night Climbers of Cambridge, an anonymous work from the 1930s that inspired the first urban explorers and placers of traffic cones in high places. Experience the thrill of the night climbers with a trudge up the top of the tower of Great St. Mary’s Church (£4 adults; open until 17.30/16.30 winter). A 123-step spiral staircase leads to a panoramic view across the college rooftops, and the chance to catch the winter sunset over the city. Cambridge has an abundance of exceptional museums, catering for almost every interest, but a true explorer would be most interested in those that inspire with stories of adventures and reveal insights into our understanding of the earth, the creatures we share our planet with, and our own beautiful and diverse cultures. All listed below are free to visit. In 19012 Robert Falcon Scott and his team reached the South Pole, only to discover that Norwegian explorer Roald Amundsen had reached first, almost five weeks earlier. Scott and his entire polar party died on their return trek to base. 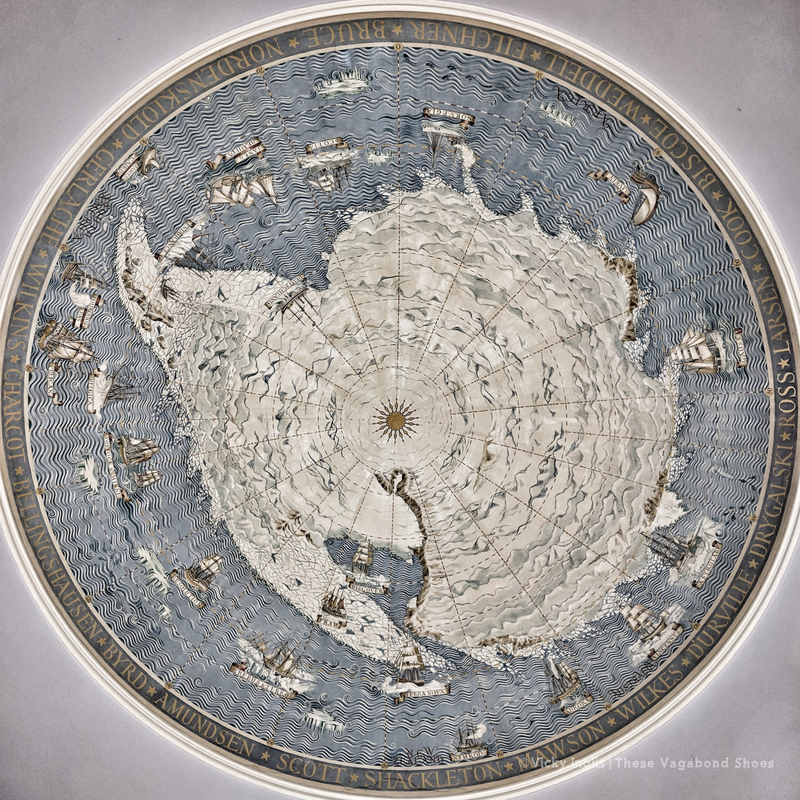 The Polar Museum is part of the Scott Polar Institute, founded from part of the relief fund established in the wake of that fateful expedition as a memorial to the explorer, and now a global leader in the fields of climate science and glaciology. If, like me, you’re a fan of tragic explorers who had to eat their boots to survive an icy death, this is your spiritual home. It gathers together artifacts and material that tell tales of hostile conditions, tireless tenacity, and survival against the odds (balanced with stories of heroic failure), focusing on the feats of the likes of Scott, Shackleton, Franklin, Peary, Amundsen, and Nansen (my hero). The collections include photographs and sketches, clothing and equipment, journals and letters. Artifacts from the Franklin Expedition to find the Northwest Passage. No boots. Alongside the relics of exploration and discovery, the museum holds a collection of items revealing the material culture of Arctic peoples. Scrimshaw (etched bone or ivory)from Siberia. A knife with a reindeer horn handle, a harness and traces for a reindeer-drawn sled, and skis from Sápmi (Northern Scandinavia and the Kola Peninsula). Beaded and embroidered kamiks (soft-soled boots) stitched from sealskin, a kayak covered with drum-tight skin, and several examples of tupilak, figures carved from walrus ivory and inhabited by a magical lifeforce, from Greenland. But by far the most affecting items** are the letters written by the expedition chief scientist, Edward Wilson, to the family of Lawrence Oates, and from Scott himself, to his wife and young son, Peter. Had we lived, I should have had a tale to tell of the hardihood, endurance, and courage of my companions which would have stirred the heart of every Englishman. **I’m not crying, you’re crying. The oldest and most traditional of the University of Cambridge museums, the Sedgewick Museum was established in 1728 and looks as though it hasn’t changed since. Think tweed, dust, and glass-fronted cabinets filled with curios that take you through the 4.5 billion year history of time, Darwin’s favourite rocks, dinosaurs, Mary Anning‘s interesting things, and a metre-long model of the Burgess Shale Hallucigenia***. ***If the words Cambrian Explosion don’t make you just a tiny bit excited, are we even friends? Recently renovated, this museum is filled with collections that reveal stories of survival and evolution, exploration and extinction across the animal kingdom. These include specimens gathered on expedition by Charles Darwin and Alfred Russell Wallace, creatures amassed from hydrothermal vents by ROV, and the strawberry-pink deep ocean Goblin Shark, harvested from your worst nightmares. The highlight is the awesome, in the truest sense of the word, skeleton of a Fin Whale, its 21 m (70′) length suspended over the entrance to the museum. This small museum gathers together a diverse selection of art and artefacts from the nearby and faraway, long ago and right now, to tell fascinating stories from human history. Among the most interesting is the collection of material from the Pacific voyages of Captain James Cook in the 1770s, which sits alongside more contemporary items from the region to illustrate the movement and migration, and relationship with the environment, of Pasifika peoples. An evocative headdress carved from a deer skull. Possibly plucked from that weird recurring Wickerman-themed dream you have. This fabulous museum is stuffed with art and antiquities from around the world, and an excellent way to while away a rainy day. The galleries hold thousands of treasures ranging from illuminated medieval manuscripts, sculptures from ancient Mediterranean civilisations through to Barbara Hepworth, works by Dutch Masters, French Impressionists, and the Pre-Raphaelite Brotherhood, and an extensive collection of watercolours by J.M.W. Turner. Rows and rows of bicycles outside the Fitzwilliam Museum. Beware while you walk, as cyclists weave in and out of pedestrians and traffic. After hours poring over museum exhibits, journals, and artifacts to feed your travel inspiration, you may well be in need of some fresh air. Cambridge is Britain’s leading cycling city, with miles of dedicated cycle lanes, riverside and canal paths, and virtually no hills. The council website has maps available to download. To get around the city there’s a couple of inexpensive cycle hire schemes, such as Mobike and ofo, with plenty available in central locations. Download the app for your chosen scheme, find a bike, scan the code to unlock it. Once you’re done, park the bike up and lock it. Simple. For adventures further afield, there’s a couple of places where you can pick up a bike for a day’s hire to see more of the Cambridgeshire countryside. The chalk downland of Gog Magog and Wandlebury Country Park may cause you to re-evaluate the idea that there’s no hills in the area, but they make up for it with the view from the top. Or follow National Cycle Network route 11 to Wicken Fen, a spectacular National Nature Reserve that’s one of the oldest in Britain. The wetlands sparkle in summer with dragonflies and damselflies, butterflies, moths, and an inordinate number of beetles. Look out for herons, hen harriers, kingfishers, and the hardy Konik horses. When the season is right, listen for booming bitterns, drumming snipe, and the plop of a water vole sliding into the water. Aromi, on Bene’t Street, is an awesome Sicilian-Italian bakery, with huge pizza slices, fresh foccacia sandwiches, and an abundance of yummy things. Sit in and linger over a coffee, or pick up a picnic to eat in the park. Mediterranean Falafel, in the market, makes the tastiest wraps from their awesome falafels. I visited with a vegan Israeli friend who raved about how good the food was, and I feel they are particularly qualified to know good falafel and hummus. Michaelhouse Café, in a converted medieval church is great for breakfasts and lunches, with a good selection of sandwiches, soups, quiches, and casseroles. Close to the city centre, and a perfect coffee and cake stop between museums and colleges. Fitzbillies, just over the road from the Fitzwilliam museum, has been a Cambridge institution since the 1920s. Kirsty, the Cake Manager****, suggested I try their famous Chelsea buns, sweet and sticky, and made on site to the same traditional recipe since the first days of Fitzbillies. They also do a full brunch menu and a very sophisticated afternoon tea (with or without a glass of bubbles) of finger sandwiches and scones, but it’s likely you’ll have to wait a while for table space. The Eagle, a pub on Bene’t Street, is well-known as the place where regulars Francis Crick and James Watson announced that they’d “discovered the secret of life” (sidelining Rosalind Franklin and her vital work in the process). A blue plaque on the wall commemorates the event, as does a beer called DNA. The Mill, a picturesque pub on the banks of the Cam near the punting stations, has a great selection of craft beers, traditional pub food, and board games. The Maid’s Head, on the village green in Wicken, is a traditional thatched pub dating from the 13th century. It’s the sort of place to drink real ales, tuck into a ploughman’s lunch and watch cricket being played. Have you visited Cambridge yet? What would you recommend that visitors should see or do? Comment below to let me know.